Elia Kazan (born Elias Kazantzoglou, Greek: Ηλίας Καζαντζόγλου, September 7, 1909 – September 28, 2003) was a Greek-American director, producer, writer and actor, described by The New York Times as "one of the most honored and influential directors in Broadway and Hollywood history". He was born in Istanbul, to Cappadocian Greek parents. After attending Williams College and then the Yale School of Drama, he acted professionally for eight years, later joining the Group Theater in 1932, and co-founded the Actors Studio in 1947. With Robert Lewis and Cheryl Crawford, his actors' studio introduced "Method Acting" under the direction of Lee Strasberg. Kazan acted in a few films, including City for Conquest (1940). Kazan influenced the films of the 1950s and '60s with his provocative, issue-driven subjects. Director Stanley Kubrick called him, "without question, the best director we have in America, [and] capable of performing miracles with the actors he uses. ":36 Film author Ian Freer concludes that "if his achievements are tainted by political controversy, the debt Hollywood—and actors everywhere—owes him is enormous." In 2010, Martin Scorsese co-directed the documentary film A Letter to Elia as a personal tribute to Kazan. As a young boy, he was remembered as being shy, and his college classmates described him as more of a loner. Much of his early life was portrayed in his autobiographical book, America America, which he made into a film in 1963. In it, he describes his family as "alienated" from both their parents' Greek Orthodox values and from those of mainstream America. :23 His mother's family were cotton merchants who imported cotton from England, and sold it wholesale. His father became a rug merchant after emigrating to the United States, and expected that his son would go into the family business. By the mid-1930s, when he was 26, he began directing a number of the Group Theater's plays, including Robert Ardrey's well-known play Thunder Rock. In 1942 he achieved his first notable success by directing a play by Thornton Wilder, The Skin of Our Teeth, starring Tallulah Bankhead and Fredric March. The play, though controversial, was a critical and commercial success and won Wilder a Pulitzer Prize. Kazan won the New York Drama Critics Award for Best Director and Bankhead for best actress. Kazan then went on to direct Death of a Salesman by Arthur Miller, and then directed A Streetcar Named Desire by Tennessee Williams, both of which were also successful. Kazan's wife, Molly Thacher, the reader for the Group, discovered Williams and awarded him a "prize that launched his career." The Group Theater's summer rehearsal headquarters was at Pine Brook Country Club, located in the countryside of Nichols, Connecticut, during the 1930s and early 1940s. Along with Kazan were numerous other artists: Harry Morgan, John Garfield, Luise Rainer, Frances Farmer, Will Geer, Howard Da Silva, Clifford Odets, Lee J. Cobb and Irwin Shaw. In 1947, he founded the Actors Studio, a non-profit workshop, with actors Robert Lewis and Cheryl Crawford. In 1951, Lee Strasberg became its director. It remained a non-profit enterprise. Strasberg introduced the "Method" to the Actors Studio, an umbrella term for a constellation of systemizations of Konstantin Stanislavski's teachings. The "Method" school of acting became the predominant system of post-World War II Hollywood, though it has waned in influence somewhat since. Among the students of Strasberg were Marlon Brando, Montgomery Clift, Mildred Dunnock, Julie Harris, Karl Malden, Patricia Neal, Maureen Stapleton, Eli Wallach, and James Whitmore. 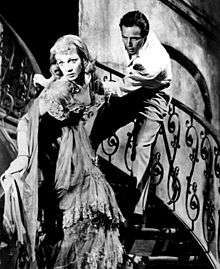 Kazan directed two of the Studio's protegee's, Karl Malden and Marlon Brando, in the Tennessee Williams play A Streetcar Named Desire. In between his directing work he wrote four best-selling novels, including "America America", and "The Arrangement" both of which tell the story of Kazan's Greek immigrant ancestors. Both novels were later made into films. I don't move unless I have some empathy with the basic theme. In some way the channel of the film should also be in my own life. I start with an instinct. With "East of Eden" ... it's really the story of my father and me, and I didn't realize it for a long time... In some subtle or not-so-subtle way, every film is autobiographical. A thing in my life is expressed by the essence of the film. Then I know it experientially, not just mentally. I've got to feel that it's in some way about me, some way about my struggles, some way about my pain, my hopes. As a product of the Group Theater and Actors Studio, he was most noted for his use of "Method" actors, especially Brando and Dean. During an interview in 1988, Kazan said, "I did whatever was necessary to get a good performance including so-called Method acting. I made them run around the set, I scolded them, I inspired jealousy in their girlfriends... The director is a desperate beast! ... You don't deal with actors as dolls. You deal with them as people who are poets to a certain degree." Actor Robert De Niro called him a "master of a new kind of psychological and behavioral faith in acting." Joanna Rapf adds that Kazan was most admired for his close work with actors, noting that director Nicholas Ray considered him "the best actor's director the United States has ever produced. ":22 Film historian Foster Hirsch explains that "he created virtually a new acting style, which was the style of the Method... [that] allowed for the actors to create great depth of psychological realism." I have worked with many movie directors—some good, some fair, some terrible. Kazan was the best actors' director by far of any I've worked for... the only one who ever really stimulated me, got into a part with me and virtually acted it with me... he chose good actors, encouraged them to improvise, and then improvised on the improvisation... He gave his cast freedom and ... was always emotionally involved in the process and his instincts were perfect... I've never seen a director who became as deeply and emotionally involved in a scene as Gadg... he got so wrought up that he started chewing on his hat. In April 1952, the Committee called on Kazan, under oath, to identify Communists from that period 16 years earlier. Kazan initially refused to provide names, but eventually named eight former Group Theater members who he said had been Communists: Clifford Odets, J. Edward Bromberg, Lewis Leverett, Morris Carnovsky, Phoebe Brand, Tony Kraber, Ted Wellman, and Paula Miller, who later married Lee Strasberg. He testified that Odets quit the party at the same time that he did. All the persons named were already known to HUAC, however. The move cost Kazan many friends within the film industry, including playwright Arthur Miller. Los Angeles Times film critic Kenneth Turan agreed, writing "The only criterion for an award like this is the work". Kazan was already "denied accolades" from the American Film Institute, and other film critics associations. According to Mills, "It's time for the Academy to recognize this genius," adding that "We applauded when the great Chaplin finally had his hour." In response, former vice president of the Los Angeles Film Critics Association, Joseph McBride, claimed that an honorary award recognizes "the totality of what he represents, and Kazan's career, post 1952, was built on the ruin of other people's careers." I was tried by the Party and that was one of the reasons I became so embittered later. The trial was on the issue of my refusal to follow instructions, that we should strike in the Group Theatre, and insist that the membership have control of its organization. I said it was an artistic organization, and I backed up Clurman and Strasberg who were not Communists... The trial left an indelible impression on me... Everybody else voted against me and they stigmatized me and condemned my acts and attitude. They were asking for confession and self-humbling. I went home that night and told my wife "I am resigning." But for years after I resigned, I was still faithful to their way of thinking. I still believed in it. But not in the American Communists. I used to make a difference and think: "These people here are damned fools but in Russia they have got the real thing," until I learned about the Hitler-Stalin pact, and gave up on the USSR. Elia Kazan was married three times. His first wife was playwright Molly Day Thacher. They were married from 1932 until her death in 1963; this marriage produced two daughters and two sons, including screenwriter Nicholas Kazan. His second marriage, to the actress Barbara Loden, lasted from 1969 until her death in 1980, and produced one son. His marriage, in 1982, to Frances Rudge continued until his death, in 2003, aged 94. Kazan never lost his identification with the oppressed people he remembered from the depths of the Great Depression. With his many years with the Group Theater and Actors Studio in New York City and later triumphs on Broadway, he became famous "for the power and intensity of his actors' performances." 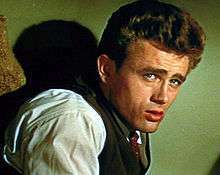 He was the pivotal figure in launching the film careers of Marlon Brando, James Dean, Julie Harris, Eva Marie Saint, Warren Beatty, Lee Remick, Karl Malden, and many others. Seven of Kazan's films won a total of 20 Academy Awards. Dustin Hoffman commented that he "doubted whether he, Robert De Niro, or Al Pacino, would have become actors without Mr. Kazan's influence." ↑ Later in his life, he was known as Ελία Καζάν in Greece—a transcription of his English name. ↑ "Elia Kazan.". www.britannica.com. Retrieved 2010-09-10. Elia Kazan, original name Elia Kazanjoglou (b. September 7, 1909, Constantinople (Greece, then under the Ottoman Empire) —d. September 28, 2003, New York City, U.S.). 1 2 3 4 5 6 7 8 9 10 Rothstein, Mervyn (September 28, 2003). "Elia Kazan, Influential Director, Dies at 94". The New York Times. Retrieved 2009-01-28. ↑ "Elia Kazan.". www.britannica.com. Retrieved 2010-09-10. 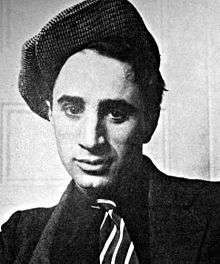 Elia Kazan, original name Elia Kazanjoglous (b. September 7, 1909, Istanbul, Ottoman Empire—d. September 28, 2003, New York City, U.S.), Turkish-born American director and author, noted for his successes on the stage, especially with plays by Tennessee Williams and Arthur Miller, and for his critically acclaimed films. At age four, Kazan was brought to the United States with his immigrant Greek family. ↑ Young, Jeff (2001). Kazan: the master director discusses his films : interviews with Elia Kazan. Newmarket Press. p. 9. ISBN 978-1-55704-446-4. He was born on September 7, 1909 to Greek parents living in Istanbul. His father, Giorgos Kazantzoglou, had fled Kayseri, a small village in Anatolia where for five hundred years the Turks had oppressed and brutalized the Armenian and Greek minorities who had lived there even longer. ↑ "Noted Film and Theater Director Elia Kazan Dies". Voice of America News. September 29, 2003. Retrieved July 25, 2010. 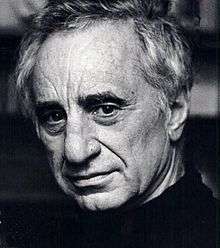 ↑ "Elia Kazan Biography (1909–)". Filmreference.com. Retrieved 2010-03-07. 1 2 Schickel, Richard. Elia Kazan: A Biography, HarperCollins (2005). 1 2 3 4 Mills, Michael. "ModernTimes"
↑ Associated Press (April 12, 1952). "Director Names Stage Reds". Pittsburgh Post-Gazette. p. 2. Retrieved August 7, 2010. ↑ Navasky, Victor (1980). Naming Names. New York: Viking Press. pp. 199–222. ISBN 978-0-670-50393-3. ↑ Weinraub, Bernard (February 23, 1999). "Kazan Honor Stirs Protest By Blacklist Survivors". The New York Times. Retrieved 2009-01-28. ↑ Weinraub, Bernard. "New York Times"
↑ Michael Cieply (September 11, 2007). "A Voice From the Blacklist: Documentary Lets Dalton Trumbo Speak". The New York Times. New York. Retrieved 2008-01-04. ↑ "Elia Kazan receiving an Honorary Oscar". YouTube. April 24, 2008. Retrieved 2010-03-07. ↑ Weinraub, Bernard (March 22, 1999). "Amid Protests, Elia Kazan Receives His Oscar". NYTimes.com. Retrieved 2010-03-07. ↑ "Full Frame Benefit Screening of Martin Scorsese's "A Letter to Elia"". CDSPorch.org. Nov 16, 2010. Retrieved 2016-03-06. ↑ "1st Berlin International Film Festival: In Competition". berlinale.de. Retrieved 2009-12-22. ↑ "IMDB.com: Awards for Wild River". imdb.com. Retrieved 2010-01-18. ↑ "Berlinale: 1996 Prize Winners". berlinale.de. Retrieved 2012-01-01.